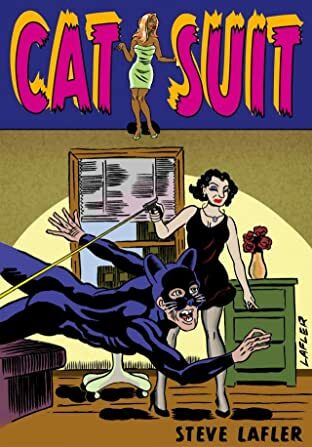 What kind of whack job would put on a mask and a skin-tight suit and head out into the city after midnight? I mean, what is this guy really up to? What pathology, what perverse proclivity are we dealing with here? Is he fighting crime? Of course not, he's just going clubbing-and he's frankly perplexed when the aggressive bar flies & drunks single him out. The guy in question is Manx, a costumed cat man. Rich but unfulfilled, Manx goes to Dr. Grippo, a sultry lady shrink from Eastern Europe, to figure out his life. All hell breaks loose when Manx reveals to the amorous Dr. Grippo that he has fallen for Delia, a hottie he picks up on one of his late night excursions. Romance! Violence! Weed! Adventure! Alcohol! Twists! 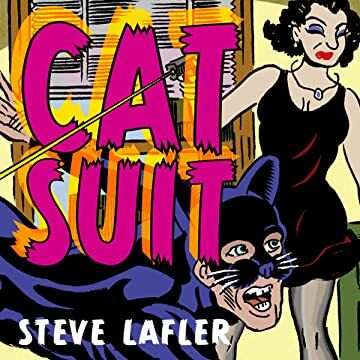 All these things abound in Lafler's charming Cat Suit.